The Nottinghamshire Torch SCITT has a dedicated team working to ensure that your training with us is well supported and student focused. Our central team is based in dedicated offices in The Suthers Building on the Toot Hill School campus in Bingham. In addition to the central team, you will be working closely with individual subject mentors and other professionals within the organisation throughout your training. 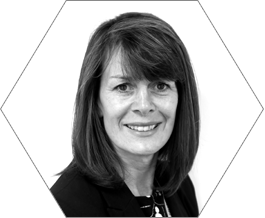 Treena has 20 years of experience working and teaching in primary and secondary schools. She began her career as a teacher of Physical Education and Geography working in a variety of schools in the West Midlands . She developed her experience in teacher training as a regional teacher trainer for the Sandwell then Rushcliffe Sports Partnership and later became Head of PE at Toot Hill School. In more recent years in her role as a Strategic School Leader, she had responsibility for Continuing Professional Development of teachers, delivering the National Professional Qualification Leadership courses and developing MA research and development. 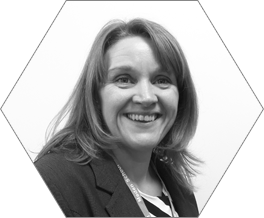 Treena now works within the Nova Education Trust as Director of the Nottinghamshire Torch SCITT and Teaching School Alliance leading teacher professional development across all career stages. Rachel is the first port of call for any enquiries you might have about School Centred Initial Teacher Training or School Direct. She has been working with the Nottinghamshire Torch SCITT since September 2014. Please feel free to give her a call or email her with any queries or questions you might have and she will be able to assist. 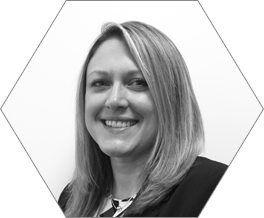 Kat has over 10 years of experience working and teaching in secondary schools as an ICT teacher and subject co-ordinator. 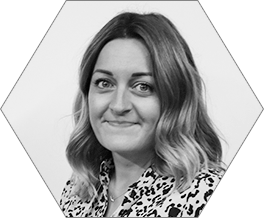 Now as ITT and NQT Co-ordinator at Toot Hill School, Kat has in-depth knowledge and experience working with beginning teachers; for the past three years she has worked in close partnership with a range of ITT providers across the region. Throughout her career, Kat has always played a part in whole school staff training as well as working collaboratively with partnership schools. 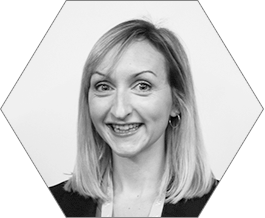 Kat has dedicated many years of her career to mentoring beginning teachers which ensures they feel fully supported moving from ITT to become successful NQTs. Her role now extends to supporting NTS partner schools in the planning and delivery of school based mentorship, in school ITT provision and Newly Qualified Teacher training. Shelly qualified as a primary school teacher in 2004 and has taught across Key Stage 1 and 2, including the Foundation Stage. The majority of her teaching experience has been in Nottingham City. Her previous Senior Leadership Roles include English Coordinator, SENDCo and a KS2 Lead, where she has also supported and mentored students, NQTs and RQTs. 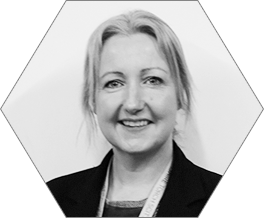 In the last year, Shelly has worked in partnership with the UoN to support their Primary School Direct Programme and is currently working as the Deputy Director for SCITT, responsible for managing and implementing the Primary Programme and developing our Primary Partnerships. In addition to this, she has written and delivered CPD courses for the Nova Academy Trust for Middle Leadership and RQT Training. 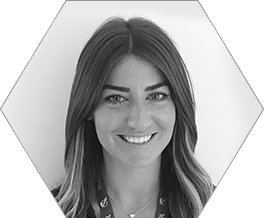 Natalie has taught PE since 2007, taking on a variety of departmental roles from Key Stage Coordinator to Performance Director. 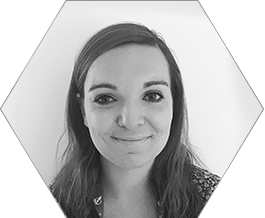 She has several years’ experience of mentoring at both NQT and ITT level including working with PGCE students from a number of universities throughout England. 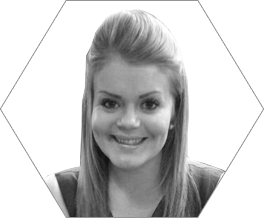 Natalie has recently completed an MA in Education with a particular focus on teachers and their values. Dan joined the trust in September 2017 after working in schools across Nottingham, Derbyshire and London. He’s been involved in coaching and delivering subject-specific CPD at every stage of his career and has presented at national conferences, written about maths education for online platforms and is on the review team for the Mathematical Association. 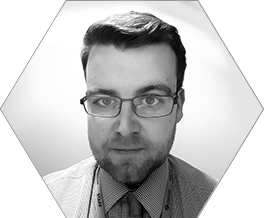 Dan’s worked in cross-phase projects working with feeder primary schools and is keenly interested in curriculum planning and enriching the curriculum with history of maths. Helen has 17 years of experience teaching English and Drama within secondary schools in Cambridgeshire and Nottinghamshire. 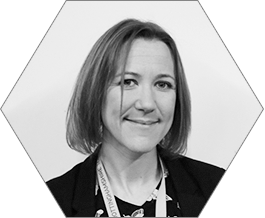 She currently holds responsibility for Key Stage 5 English at Meden School and also has previous experience as a literacy co-ordinator.She has a wealth of experience in ITT and NQT mentoring, since first taking on the role of mentor in 2003. Helen is currently involved in the delivery of training for NQTs for the Nottinghamshire Education Authority. 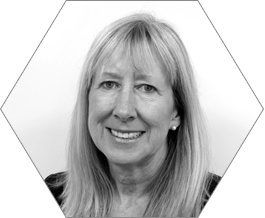 Lynne has had over 20 years teaching experience and many years of being a PGCE/School Direct/NQT mentor. During her teaching career she has been a Head of Biology and for the last 12 years was the Leading Teacher for Gifted and Talented/Most Able and Aspiring pupils at Toot Hill School. During this time she successfully developed the whole school programme for more able students, resulting in the school receiving the prestigious NACE Challenge Award in recognition of this. Lynne is an SLE (Gifted and Talented) and currently leads the Nottinghamshire G and T Network. In 2015 Lynne was awarded an MA in Education by The University of Nottingham. Laura has worked within the Nova Education Trust for the past five years and, in this time, she has gained vast experience in both curriculum and pastoral leadership roles. She specialises in French and Spanish and can teach both languages from KS3 to A Level. Laura has implemented whole school strategies for key groups and memorisation techniques, which have been successful in improving outcomes for students. She has been a SCITT mentor for the past year and has also completed her Masters in Education on the topic of using iPads to increase learner motivation. Helen has 11 years of experience teaching History within secondary schools in Nottinghamshire. She has held a variety of roles including Literacy Co-ordinator and Head of History and Humanities and is currently a School Leader with responsibility for Teaching and Learning and Initial Teacher Training at Meden School. Amandeep qualified as a teacher in 2010. Over the past five years, she has taught in a range of schools from Outstanding to Requiring Improvement. In 2012, she became Curriculum Leader of Geography at Meden School. Throughout her time with the Nova Education Trust, she has been involved in promoting literacy within school and is now the Head of Humanities at Meden School. Amandeep has worked mentoring many ITT students within the Humanities Department. Michaela has been teaching at Toot Hill School since 2014 and became a lead teacher within her department of Social Sciences during her second year of teaching. She is now the Gifted and Talented Coordinator at Toot Hill and spends time enhancing the Gifted and Talented Provision for students across the trust. She will lead Toot Hill into their third accreditation of the National Association for Aspiring Students in Education (NACE) award this year. 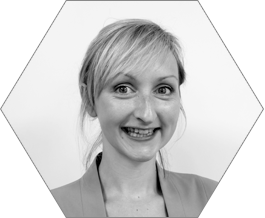 Michaela has delivered training sessions focused around enhancing the learning for G&T students to experienced teachers, NQT’s and trainee teachers and has a wide range of experience and knowledge within this area. Gaynor has been teaching Psychology and Sociology within the trust since 2015. Gaynor has been the lead teacher for psychology for the past 3 years at Toot hill school and leads on developing resources for the new A-level specifications. 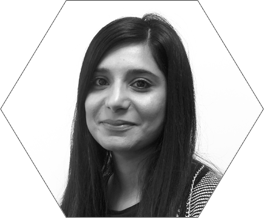 She has experience in pastoral leadership roles, having been a year 12 achievement co-ordinator and has wide range of experience in the form of mentoring year 12 and 13 students and helping them through UCAS and writing their personal statements. 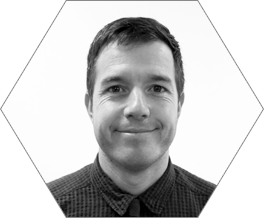 Daniel has worked in a broad range of educational settings and is an experienced middle leader. Daniel has worked as Workshop Director for ITV and has developed education work for the National Theatre and RSC. Daniel also works internationally on school based quality assurance and teacher training projects. For further information on the Torch Teaching School Alliance and the courses and services we offer, please visit www.torchtsa.co.uk. The Nova Education Trust is a dynamic and growing MAT Group based in the East Midlands. Our Trust Group is committed to providing high quality education to all of our students, regardless of their backgrounds. Our track record demonstrates our ability to deliver our core goal, achievement for every child. Our portfolio of schools includes both secondary and primary schools, working in a range of contexts. In 2012 we founded the Torch Teaching School Alliance, which links 23 schools together sharing effective practice and developing new models for staff development. 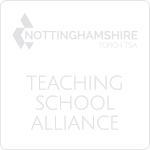 In 2013 the work of the TSA was complemented by the introduction of the Nottinghamshire Torch SCITT in partnership with the University of Nottingham, providing School Centred Initial Teacher Training and School Direct courses in our schools. Our values are central to developing a positive ethos throughout our group of schools. This approach is focused on securing success for all our learners and providing them with the very best life opportunities. We believe nothing is more important than making a difference to children. Our vision is to build capacity for sustained improvement. There are a number of short term strategies that can be initially used to enhance outcomes but it is out view that these need to be supplemented by a process that transforms a school for long term improvement. For further information on the Nova Education Trust, please visit www.novaeducationtrust.net.